This post includes a little Spring Fever and of course, THROWBACK THURSDAY. Be ready to link up below. We had an incredible amount of ice this weekend. Needless to say, our district closed school Monday due to the hazardous roads and cold temperatures. What better way to spend Monday morning than shopping on TpT and Amazon? I was looking on TpT at some amazing clipart. Then, one thing lead to another and I decided to purchase another set of Two Peas in a Pod's Phonological Awareness set. Then, I realized, I do not have the book Chester's Way. So, I did the next best thing... searched Amazon. 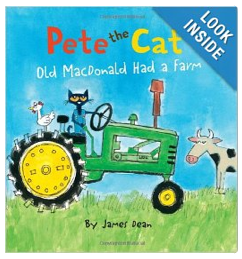 After looking through children's books for about 25 minutes, I realized there are new Pete the Cat books out. Check these out! If they have been out, I sure haven't seen them. 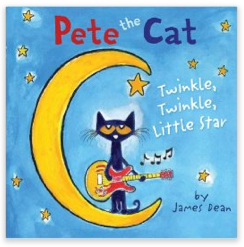 And who doesn't love the GROOVY Pete the Cat? Today is Thursday and it's time for our monthly linky. It is Throwback Thursday. The best part about this linky is that it takes little time to prepare. Just link up a previous post. It can be any product or curriculum tip that you would like to share. It is as simple as that. If you would like to get a link up, the TBT image is below. Get your post ready and link up. Feel free to "pin" any of the pictures of the doors below. I decided to change my door. 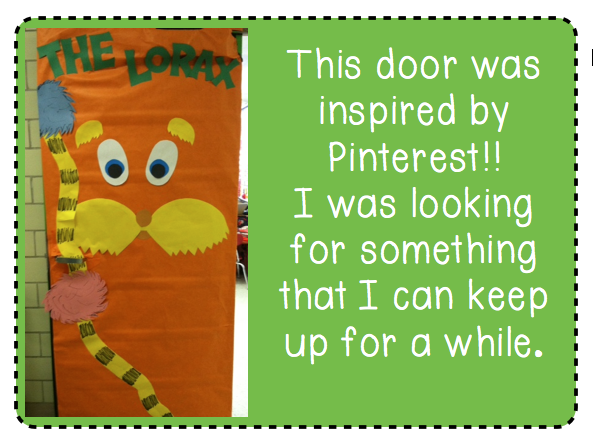 I put a lot of thought to it and with the help of Pinterest, I now have a Lorax door. I thought that this will last all through March and April with Earth Day approaching. Here is the "pin" I am referring to. (https://pinterest.com/pin/110338259590541503/) I made my door a little different than the pin though. A second grade teacher down the hallway had a curtain up n her door. 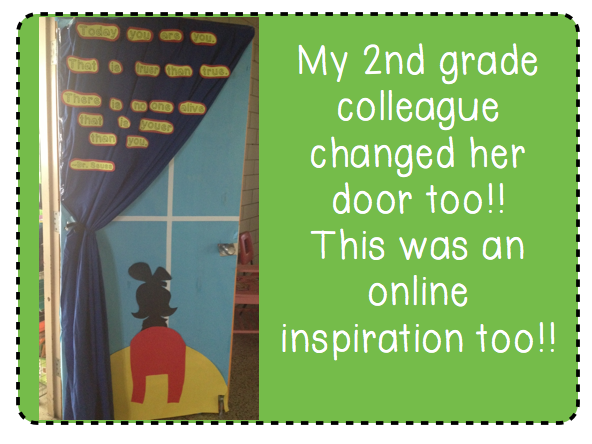 I suggested changing to a Seuss door inspired from this site (http://bulletinboardideas.org/3503/celebrate-the-world-of-dr-seuss/). I think it turned out FABULOUS!! What do you think? 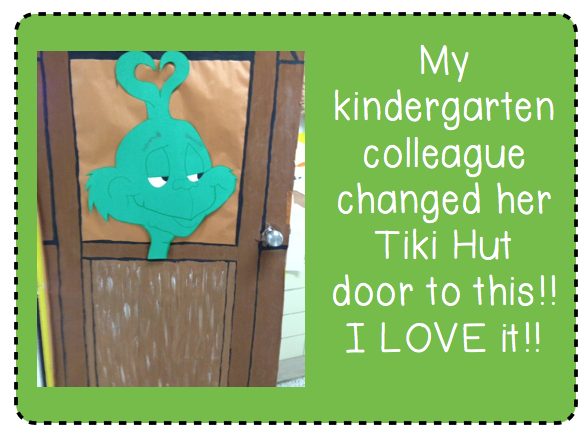 Another kindergarten teacher didn't want to change her "tiki hut" door too much, so this is what her door looks like!! I think it is very creative!! 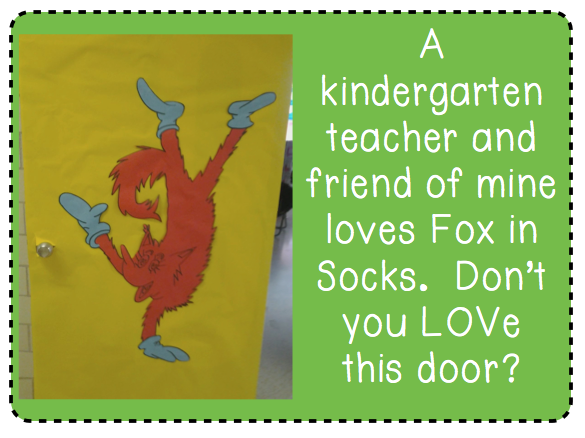 My friend who teaches kindergarten has this fabulous door and idea!! She is going to put a box in the fox hand and students are going to write what is in the fox box!! Creative writing is so fun to teach!! Stephany and I wrote lyrics to the song "Call Me, Maybe" for our ISTEP (state testing) students. We are not able to post the recorded song yet, but here is a picture of it being recorded. 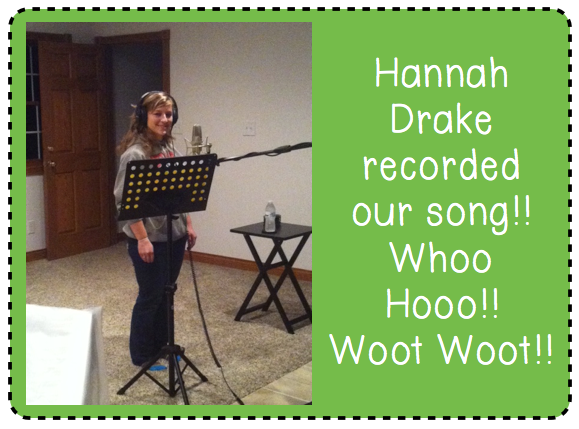 I can't believe someone would want to record our song!! It is so exciting!! I found this AMAZING freebie on TpT. 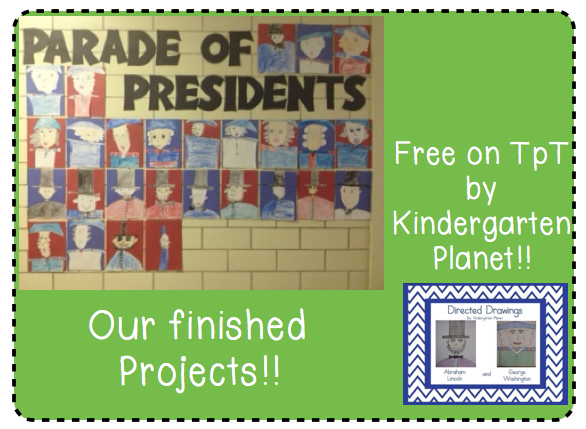 I think the finished projects turned out GREAT!! Click here to link to the freebie! !